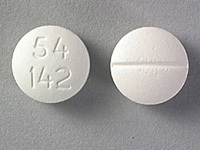 Methadone is a narcotic pain reliever, similar to morphine. It also reduces withdrawal symptoms in people addicted to heroin or other narcotic drugs without causing the '"high" associated with the drug addiction. Methadone is used as a pain reliever and as part of drug addiction detoxification and maintenance programs. Methadone was first synthesized in 1937 by German scientists Max Bockmühl and Gustav Ehrhart at IG Farben (Hoechst-Am-Main) during their search for an analgesic that would be easier to use during surgery and also have low addiction potential. Methadone is a Schedule II drug under the Single Convention on Narcotic Drugs. Methadone was introduced into the United States in 1947 by Eli Lilly and Company as an analgesic (They gave it the trade name Dolophine,® which is now registered to Roxane Laboratories). Since then, it has been best known for its use in treating narcotic addiction, though it is also used in managing chronic pain due to its long duration of action and very low cost. In late 2004, the cost of a one month supply of methadone is $20, as compared to an equivalent analgesic amount of Demerol at $120. The old name Dolophine comes from the German Dolphium. The name derives from the Latin dolor (“pain”). Although not common, Methadone is encountered on the illicit drug market and has been associated with a number of overdose deaths. "Street Meth" demand comes primarily from opioid addicts unable to get into a legal methadone program, or addicts who have been removed from a Methadone program due to some infraction. Methadone is not a common drug of choice because, generally speaking, addicts seeking a high strongly prefer shorter-acting opioids. Studies have shown that the vast majority of methadone diverted to the illicit market comes from pain management prescriptions or theft from factories/shippers, and not from maintenance patients. In the late 1990s methadone abuse began to become a more serious problem, and the number of methadone overdoses (an indicator of the prevalence of abuse) jumped dramatically. The increase in methadone abuse was apparently caused by heroin and oxycodone (OxyContin; a prescription painkiller) addicts using methadone when they could not get other drugs, as well as by an increase in the number of so-called recreational drug users who were abusing methadone. In the brains of addicts, methadone prevents heroin or morphine from interacting with receptors for natural painkillers called endorphins , blocking the effects of the addictive drugs and reducing the physical cravings. In controlled doses it creates its own effects of mild euphoria and drowsiness, but lasts much longer (one to two days) and does not create the sometimes fatal respiratory depression that opiates do. Its continued use as a heroin substitute eventually restores sexual, immune, and adrenal function. Supporters point out that methadone maintenance, being oral, breaks the dangerous ritual of intravenous injection, that it is legal and eliminates the addict's need to engage in crime to pay for drugs, and that it gives addicts a chance to reevaluate their lives. Critics counter that methadone patients are still drug addicts and that methadone therapy does not help drug addicts with their personality problems. In many cases multiple drug use and a strong psychological dependence undermine any gains made by taking methadone. Some addicts manage to resell the methadone they receive in order to buy heroin; this and other illegal diversion have resulted in methadone joining the group of addictive drugs sold on the street. Deaths occur more frequently at the beginning of treatment in methadone programs; they are usually a cause of excessive doses (i.e. erroneously estimated tolerance) and they are affected by concomitant diseases (hepatitis, pneumonia). Methadone generally entails the entire spectrum of opioid side effects, including the development of tolerance and physical and psychological dependence. Respiratory depressions are dangerous. The released histamines can cause hypotension or bronchospasms. Other symptoms are: constipation, nausea or vomiting, sedation, vertigo, edema.